A sure fire way to gauge the success of a brand is to look at how long it’s been around. The longer it lasts in today’s throw-away society, the more it's embedded into our lives, subconscious and culture. One brand that has stood the test of time and lives on as one of the great British institutions is Lea & Perrins. 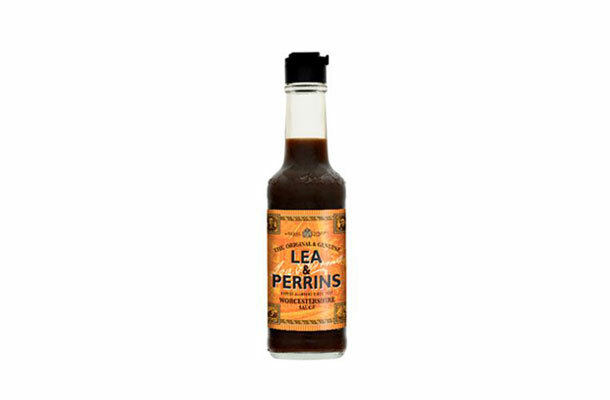 Two chemists (named John Wheeley Lea and William Henry Perrins) created the famous Lea & Perrins Worcestershire Sauce in the 1830s. When the sauce was first made, the duo didn’t like the taste and cast it aside as a failed attempt. It was only months later when they rediscovered the discarded barrels that they realised their creation. The taste had mellowed and transformed the ingredients in the recipe into what we now recognise. The famous Lea & Perrins bottle. To this day, the sauce is still left to mature for 18 months before it's blended and bottled, to create that unique flavour. In 2005, the brand became part of the Heinz family, owned by H.J. Heinz Foods UK Limited. It sits proudly alongside many signature brands, including Heinz Tomato Ketchup and Heinz Beanz. Only a handful of people know the exact recipe used to make Lea & Perrins – it's kept firmly under lock and key by Heinz as a trade secret. Trade secrets can be a notoriously difficult area of IP to manage, but they can offer huge benefits and rewards for a business. Nigel Dickie is the Director of Corporate and Government Affairs at Heinz Europe. He sees this trade secret as a vital part of the company’s IP portfolio. It’s a difficult area as it relies on people to keep information confidential. You need to have procedures and contractual safeguards in place. This will ensure the secret is only disclosed to those who have a real ‘need to know’ and not inadvertently disclosed to others. This, says Nigel, is the both main benefit and downfall of trade secrets. One of the benefits is that you don’t have to disclose information and another is that you have perpetual protection. But once a trade secret is in the public domain, it can’t be made secret again so its value is effectively lost. As a worldwide business, Heinz owns a vast array of IP rights, and not just for Lea & Perrins. But perhaps the most important of these rights are the trade marks they own. These which form the essence of the well-loved brands we see on our supermarket shelves. Developing a good brand takes time and resource. It’s important to protect this investment. A company’s brand can be a valuable asset as it brings in custom and generates revenue. Consumers recognise the name of products as well as logos such as Lea & Perrins, and often choose brands they recognise. For SMEs, it can be the fine line between making the business thrive or strive to keep afloat. Even for a large company like Heinz, IP protection is vital to ensure its future success. So how do they go about this? We only apply for the relevant and necessary IP rights. Our IP strategy for each product is different depending on what it is, our marketing campaign and our business strategy. We have a specialised IP team who look at business plans and decide what IP to protect. They consult with an IP professional – a trade mark or patent attorney – and use an external agent to submit the applications. There are many businesses who would love to replicate the success of Lea & Perrins. So what advice would Nigel give to those aspiring to follow in their footsteps? Take legal advice at an early stage. IP is a complex area of law. In some cases, disclosing information or delaying registration could mean certain types of protection won't be available to you. Keep anything such as trade secrets or products or processes that could be patentable confidential until you've obtained legal advice. Ensure third parties developing materials for you give you the necessary rights to use the materials they produce.